Dr Alexis-Garsee is a Senior Lectuer in Psychology. She is a Chartered Psychologist and serves on the Editorial Board of the Caribbean Journal of Psychology. 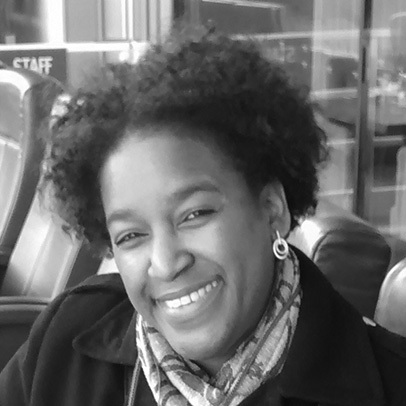 Dr Alexis-Garsee teaches on undergraduate and postgraduate programmes in the Department of Psychology at Middlesex University including the BSc Psychology, MSc Health Psychology and MSc Psychology, Health and Wellbeing programmes. Design, conduct and evaluation of interventions in randomised controlled trials. Alexis-Garsee C, Haslum M, Murphy S, Bridle C, (Under Revision). Randomised trial of smoking cessation interventions with different levels of tailoring. Psychology and Health. Alexis-Garsee C, Gilbert H, Nazareth I, Sutton S. A Strategy for Targeting Smokers from High Deprivation Areas to a Computer-tailored Intervention using General Practice Records.British Psychological Society, Division of Health Psychology Annual Conference, University of Nottingham, 12-14 September 2007. Alexis-Garsee, C., Gilbert H, Nazareth I, Sutton S. ESCAPE Trial: Characteristics of smokers prompted to change their behaviour after receiving tailored feedback reports. Joint Conference of the SRNT and SRNT Europe, Annual Conference, Dublin, 27-30, 2009. Alexis-Garsee, C., Gilbert, H., van den Akker, O. April 2010. A qualitative analysis of barriers, motivation to quit and tailored interventions for smoking cessation in smokers with and without COPD. UK Respiratory Research Foundation (UKRRF), International Primary Care Research Group (IPCRG); 22,771, 2010-2012. This research used a computer-tailored intervention, which was previously evaluated in a large randomised controlled trial with smokers recruited from primary care (ESCAPE Trial), to provide personalised tailored feedback reports to smokers. We aimed to explore and investigate the views of smokers with and without COPD. especially their experiences of smoking and quitting and to adapt the computer-tailored intervention for use with smokers with COPD.